St. Mary’s City is the site of the fourth permanent settlement in British North America. In 1634, about 140 English settlers led by explorer Leonard Calvert, sailing the Ark of London and the Dove, discovered what was to become know as St. Mary’s City. The explorers purchased a village located on the St. Mary’s River, in what is now southern Maryland, along with 30 square miles of surrounding land from an area Indian tribe. On this land, they established Maryland’s first permanent settlement. The town served as Maryland’s capital for 60 years. Founded by Roman Catholics in search of religious freedom, the colony became know for religious tolerance. When Maryland’s capital was moved to Annapolis in 1695, St. Mary’s City began to decline and had ceased to exist by 1720. Today, visitors can imagine what colonial life must have been like as they explore Historic St. Mary’s City’s Outdoor Museum of History and Archaeology. 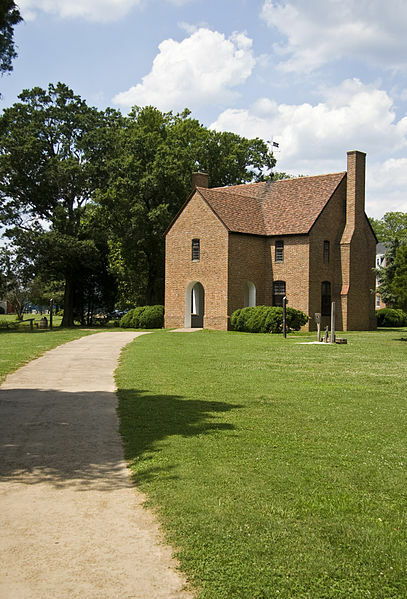 The town has been recreated in the form of an early tobacco plantation, the State House of 1676, a woodland Indian hamlet, and a recreation of the Dove. Stop by the visitors center to see an introductory video and exhibits on the history and archaeology of St. Mary’s City. The park is staffed by costumed interpreters who are there to help visitors learn about St. Mary’s City’s past. The park is also home to many significant archaeological finds which are interpreted through museum exhibits. Historic St. Mary’s City is open from mid March to late November. Hours of operation vary by season. Please visit the official St. Mary’s City web site for operating hours. Historic St. Mary’s City is co-located with St. Mary’s College of Maryland, along Maryland Route 5, in St. Mary’s County. Travel time is about two hours from Washington, DC or Annapolis, and less than three hours from Baltimore or Richmond, VA.
Visit the official Historic St. Mary’s City web site for more information. Directions to St. Mary’s City. St. Mary’s College at Historic St. Mary’s City.